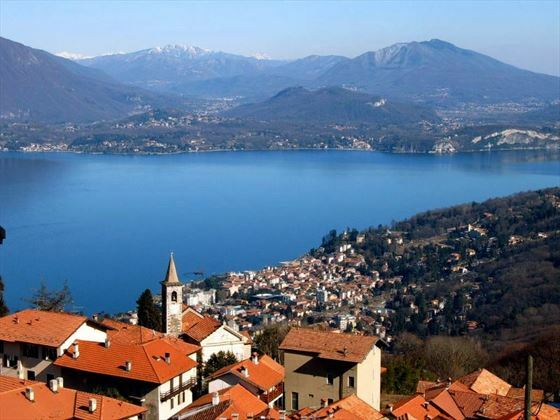 Begin your tour in the lakeside town of Stresa, on the shores of Lago Maggiore. Set your tour off in style with a visit to a wine shop and a cocktail party tasting the local products. Then take a boat to your welcome dinner the tiny Island of the Fishermen - Isola dei Pescatori, the most picturesque of the Borromean Islands. Today you can choose how you would like to spend your day. Perhaps you will take to the water on a cruise of the beautiful Lake Maggiore – taking in the islands, villas and palaces as you pass, and enjoying a guided tour of the quaint town of Pallanza. Or you might want to choose a trip inland to an ancient village nestled in the mountain where you will visit a local farm to sample their traditional cheeses paired with the regions delicious wines. You have the evening at leisure to stroll the lakeside promenades and flower-line cobblestone streets. 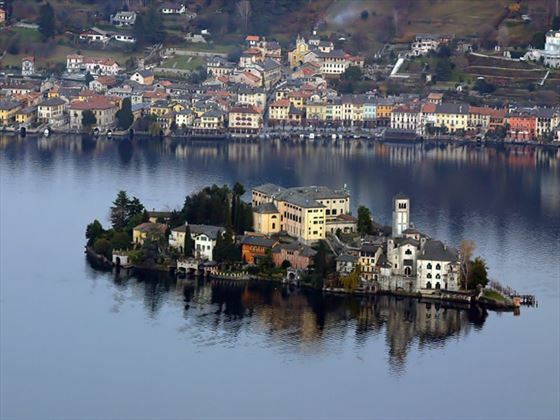 Before leaving the Italian Lakes district, visit picturesque Lake Orta and take a boat ride to enchanting Isola di San Giulio. This is a tiny island with a working convent and you can stroll the Way of Silence though the narrow alleyways, reflecting on the solitude and beauty of this retreat. 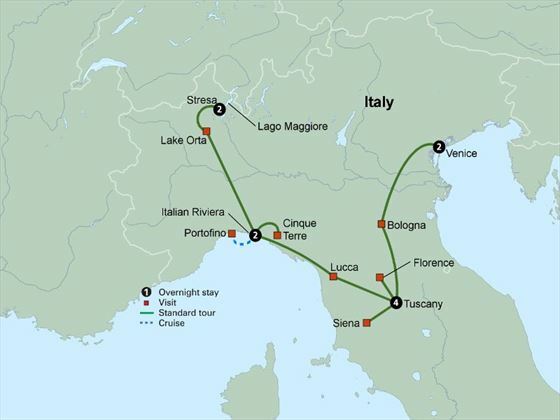 Next continue southbound to the Italian Riviera where you will spend the next two nights. 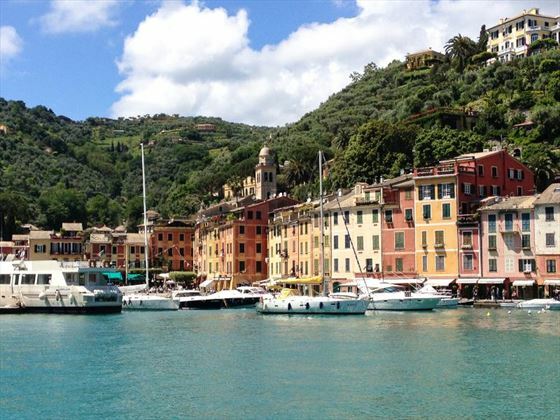 Travel to the seaside resort of Santa Margherita to take a boat ride to glamorous Portofino. Admire the picturesque harbor dotted with fishing boats and yachts set against the backdrop of pastel-colored buildings. 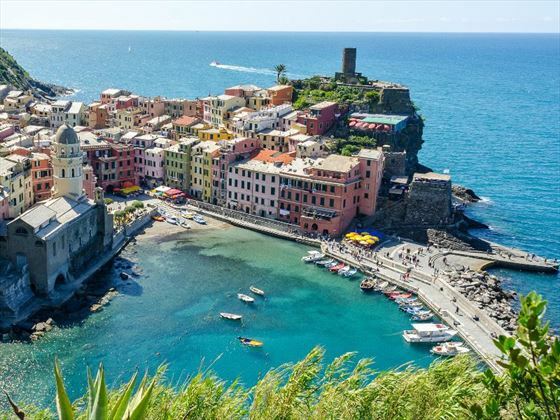 Then you will take the train through the rugged coastal area of the Cinque Terre, passing through traditional villages and terraced vineyards. Cars are not allowed in this UNESCO World Heritage Site, giving the villages a unique timeless atmosphere. Spend the afternoon in these antiquated fishing villages, exploring the narrow lanes and marvelling at the dramatic views. Travel to the medieval city of Lucca, surrounded by 16th century walls. Walk around the piazza and visit the Cathedral San Martino. Continue on to a traditional Tuscan villa which will be home for the next four nights. 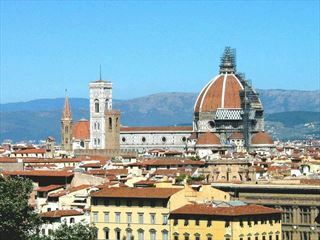 In the morning take a walking tour of Florence to see the treasures housed in this very special city. Take in the Piazza del Duomo and the Piazza della Signoria, and visit the Museo della Casa Fiorentina Antica housed in the 14th century Palazzo Davanzati. 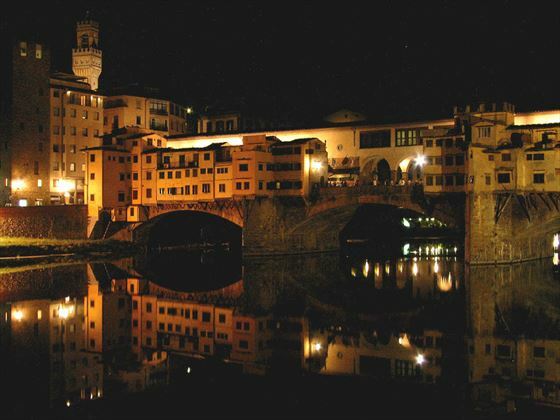 Enjoy free time in Florence to perhaps sample some gelato or relax over a glass of Chianti. This evening you will enjoy a traditional Tuscan dinneer at a local locanda. A fun day ahead, with a visit to a winery in the heart of the Tuscan countryside, that showcases the vineyards, olive groves, family estate and wine cellar. Participate in a Tuscan cooking lesson given by the winery’s own chef. Enjoy an authentic Tuscan lunch expertly paired with the estate wines. Return to the villa to relax for the remainder of the day. 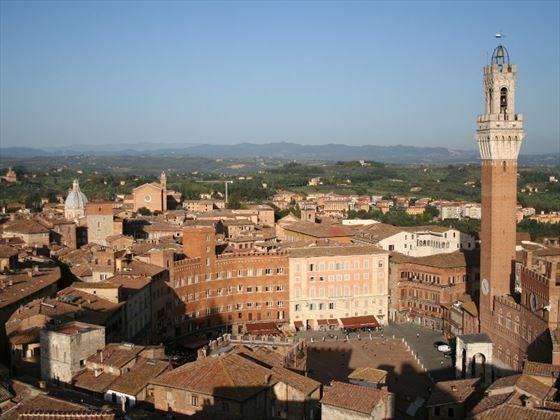 Head north to the historical university town of Bologna. Take guided walking tour of the historic center with its beautiful Renaissance architecture, medieval defensive towers and intriguing arched porticos covering the pavements. 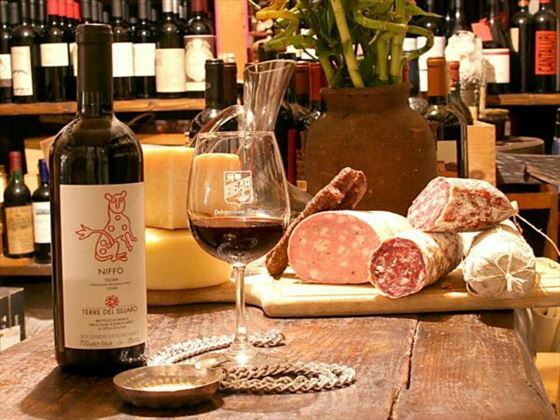 Enjoy exploring the delicatessens and traditional shops selling local specialities where you will be able to sample regional meats and cheeses. Continue your journey to magical Venice for your final two nights. 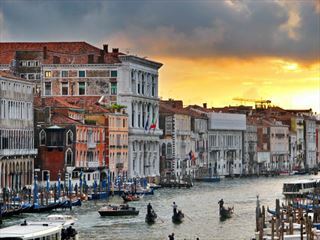 Begin the day with a boat trip to Murano Island, the center of glassmaking since the fourteenth century. Here you will have a glass-blowing demonstration and discover the secrets of the ancient art of glass-making. 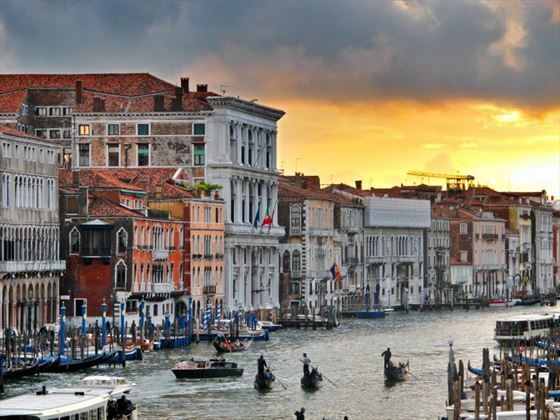 Return to St Mark’s Square, for a locally guided walking tour taking in the Basilica, the Clock Tower, the Doge’s Palace and the romantically named Bridge of Sighs. This evening enjoy a farewell dinner to toast your Italian experiences.